Once a year, FIAF celebrates a film personality (external to the FIAF archival world) whose experience and personal commitment in the field of cinema underlines the missions of the Federation, by presenting them with a FIAF Award. The FIAF Award recognizes in particular their dedication and contribution to the preservation of, and access to, the world film heritage, for the pleasure of today’s audiences, as well as for the benefit of future generations. Created in 2001, the FIAF Award has been presented to the following personalities so far: Martin Scorsese (2001), Manoel de Oliveira (2002), Ingmar Bergman (2003), Geraldine Chaplin (2004), Mike Leigh (2005), Hou Hsiao-hsien (2006), Peter Bogdanovich (2007), Nelson Pereira dos Santos (2008), Rithy Panh (2009), Liv Ullmann (2010), Kyoko Kagawa (2011), Agnès Varda (2013), Jan Švankmajer (2014), Yervant Gianikian and Angela Ricci Lucchi (2015), Jean-Pierre and Luc Dardenne (2016), and Christopher Nolan (2017). Although each recipient of the FIAF Award is ultimately selected by the FIAF Executive Committee, nominations made by colleagues in the FIAF community are always welcome. The FIAF Award is usually presented at an official ceremony organized during one of the major film festivals or, if relevant, a FIAF Congress. The trophy itself is a silver film can made by Talleres de los Ballesteros in Mexico, with the help of the Filmoteca de la UNAM. 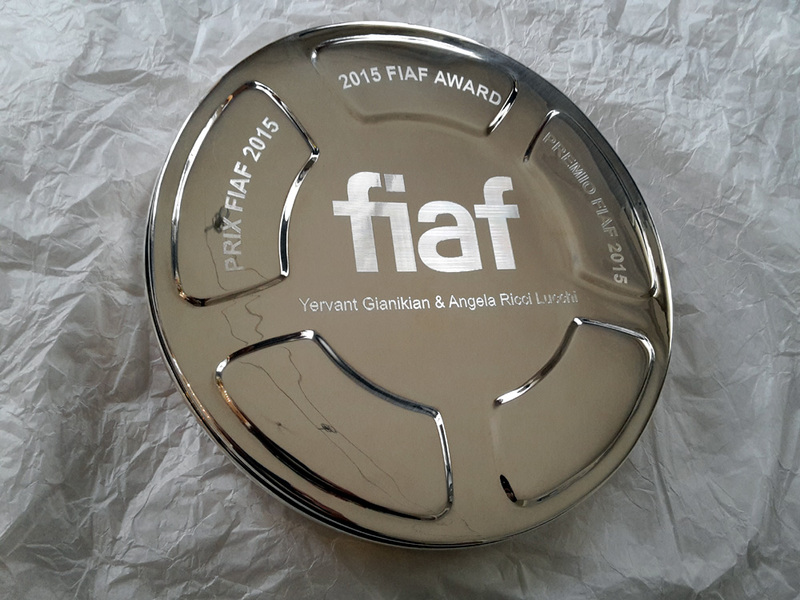 You can find information about past FIAF Award recipients HERE.